The Ministry of Energy has announced on Wednesday, December 27, new petrol prices for January, 2018 in the UAE. The prices announced on Wednesday include VAT (5 per cent). 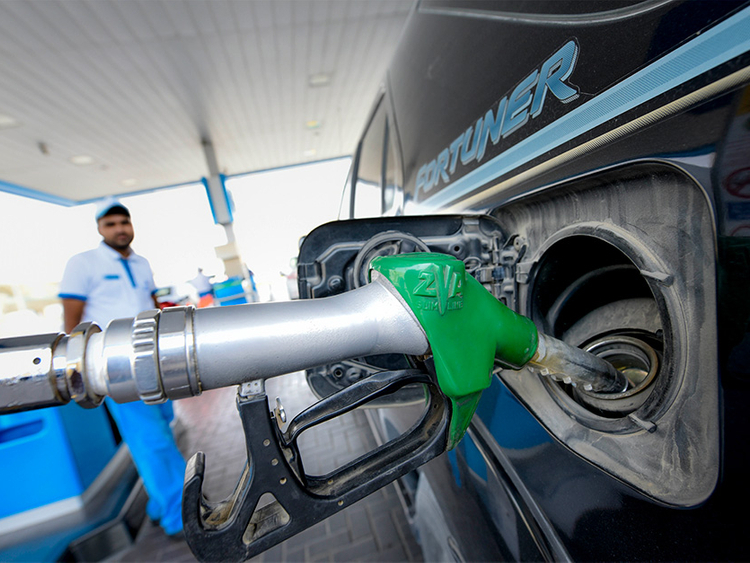 The per litre prices for the first month of 2018 will be: Super 98 at Dh2.24 (up from Dh2.15) ; Special 95 at Dh2.12 (from Dh2.04) ; E Plus-91 at Dh2.05 (slight hike from Dh1.97) . And diesel price has been fixed at Dh2.33 (hiked from Dh2.20) per litre. UAE fuel prices are linked to international crude oil prices. Brent, the global benchmark, surged to above $60 a barrel for the first time in more than two years on October 28, amid enthusiasm that Opec may extend its output deal. UAE has cut up to 10 per cent of their oil exports in the last two months in accordance with the Opec agreement, energy minister Suhail Al Mazroui said on September 25. In December 2016, the Organisation of the Petroleum Exporting Countries (Opec) struck a deal to reduce output by about 1.8 million barrels a day. This was extended for another nine months in May to go on till March, 2018.